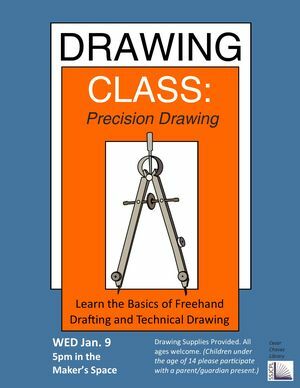 Precision Drawing is a basic level drawing class covering freehand techniques used in the style of drafting and technical drawing. This class covers basic geometrical shapes drawn using drafting methods on grid paper. This class prepares the participate for the methodology used in beginning and intermediate drafting and is a stepping stone to the creation of blueprints and schematics.